MOSCOW, the Russian Federation, (BulgarianMilitary.com) – Yesterday (4th February), the media of Kalashnikov Group reported that the Euroyachting Rybinsk Shipyard, which is a subsidiary of the Russian developer and manufacturer of weapons, started the production of diving and patrol versions of the amphibious assault boat BK-16 designed for carrying out operations and missions in green-water areas, learned BulgarianMilitary.com. The statement of Kalashnikov media released on Monday, says that the part of Kalashnikov Concern – the ship-building company Rybinsk Shipyard – has launched the manufacturing of new patrol and diving modifications of the BK-16 boat. At the moment, the shipyard has orders for 30 vessels taking into account the boats both built and contracted. Depending on the requirements of the customers, the Kalashnikov Group declares its readiness to continue work on elaborating different versions of the BK-16 tailored for performing specific tasks. The transportation and amphibious assault boat BK-16 is designed to perform tasks and operations in coastal zones, the estuaries of rivers and lakes. 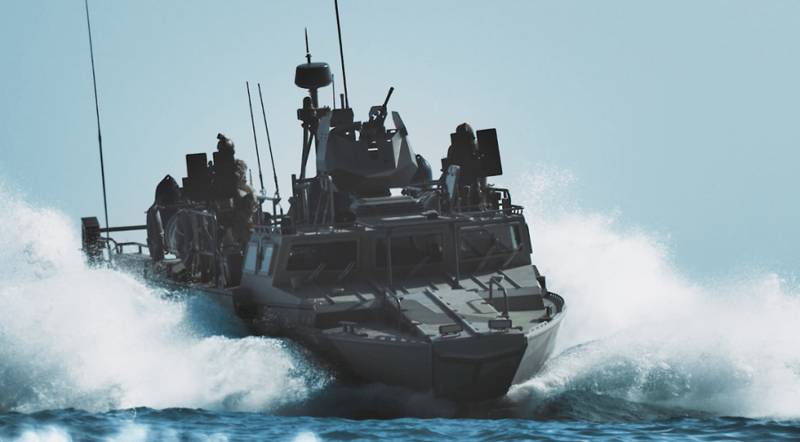 It is used to transport personnel and to land marines onto the rough terrain and unequipped coasts, providing fighting terrorism, fire support, medical evacuation and piracy. The vessel can be armed with four 7.62mm machine-guns combined with the combat module, two 12.7 mm machine-guns or a 40mm grenade launcher. Its maximum speed is of 42 knots. The crew of the boat consists of two people, along with them the BK-16 can accommodate the 19-strong assault force. In March last year, the Kalashnikov company reported the start of the construction of the BK-16 for the Federal Service troops of the Russian National Guard. Then, the Rybinsk Shipyard held a ceremony for the first launch of the high-speed transport boat. At the ceremony, Rybinsk shipyard’s General Director Sergei Antonov said that the company was ready to supply various configurations of this kind of equipment, designed to implement specific military tasks, depending on the customer’s wishes.